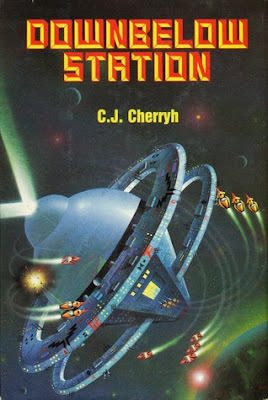 Summary: A legend among sci-fi readers, C.J. Cherryh's Union-Alliance novels, while separate and complete in themselves, are part of a much larger tapestry--a future history spanning 5000 years of human civilization. Downbelow Station is the book that won Cherryh a Hugo Award for Best Novel in 1982. A blockbuster space opera of the rebellion between Earth and its far-flung colonies, it is a classic science fiction masterwork. One of my favorite scifi novels of all time. Cherryh gives a vivid portrayal of the conflict, claustrophobia & chaos on the station as events play out. Also, I very much like how she writes strong female characters. They're not over-the-top substitutions for males & are instead wholly believable as women, flawed & all.